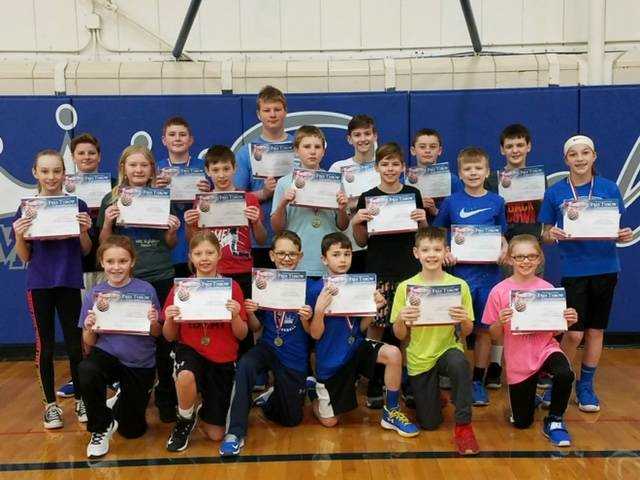 The Marcus Knights of Columbus held their annual free throw contest on Sunday, January 20, 2019, with 19 participants. All kids ages 9 to 14 were asked to compete with a chance to move on to districts and even state competition. The winners of each age group will go to Cherokee on February 10, 2019, for district finals. The competition starts at 1:00 p.m. at the Cherokee Middle School. The Knights of Columbus would like to thank all the kids who participated and look forward to seeing you and all your friends again next year. Pictured above, the 19 participants take a group picture with their certificates. 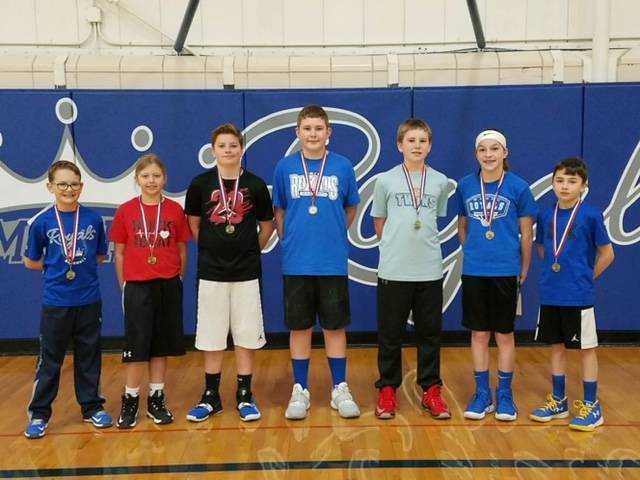 The winners of the Free Throw Contest, hosted by the Marcus Knights of Columbus, were from left: Brady Tentinger (nine-year-old boys), Tia Tentinger (ten-year-old girls), Kyler Bork (12-year-old boys), Owen Schroeder (13-year-old boys), Max Schnepf (11-year-old boys), Kylie Harpenau (12-year-old girls), and Gavin Poeckes (ten-year-old boys). The other age groups had no participants. The winners will compete in the District Finals in Cherokee on February 10.